Try a fast pace high adrenaline bear hunt. 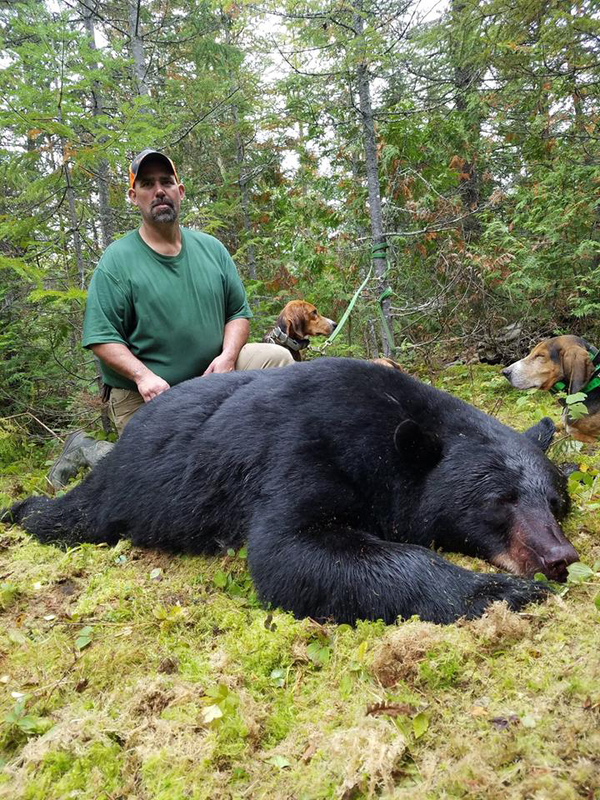 Hounds help hunters harvest the largest bears in the woods - nocturnal bruins that avoid bait sites during daytime hours. Success Rates are high and trophy bears are common. 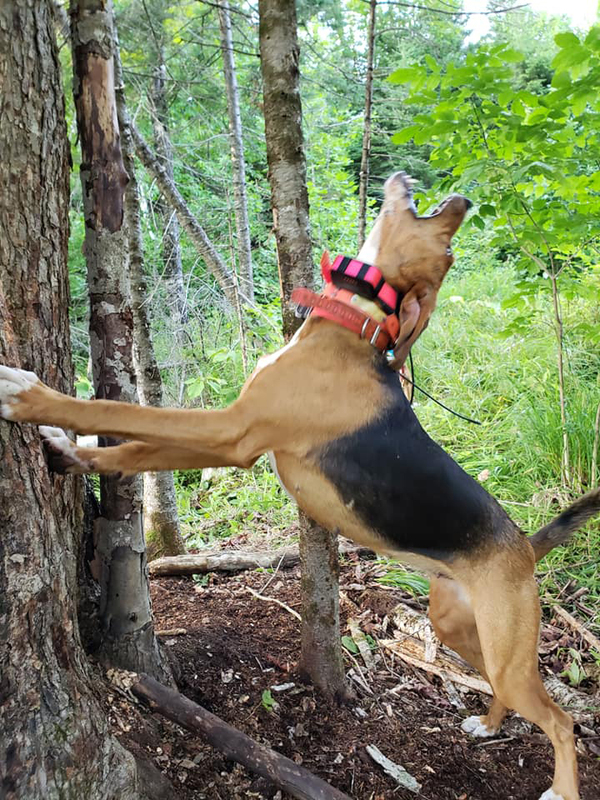 Although the terrain is challenging, this hunt is not as physical as many hound hunts because logging roads improve access to remote habitat. 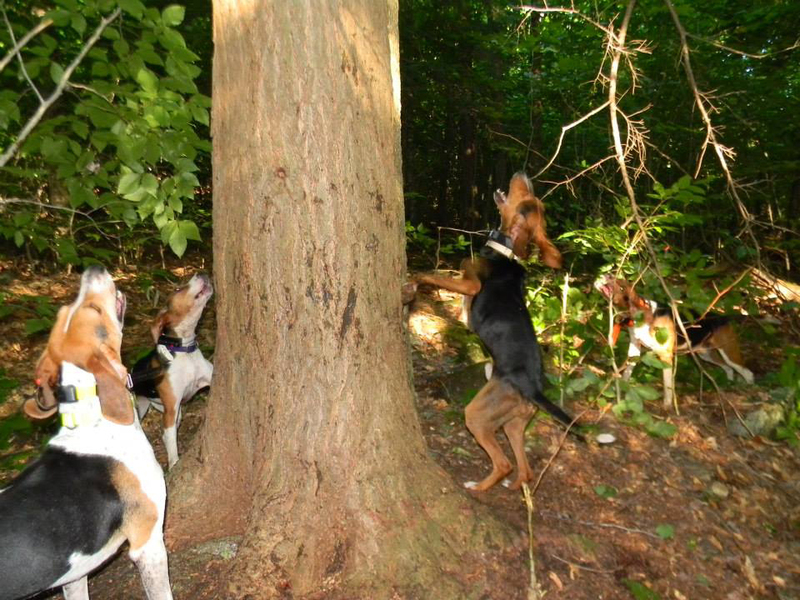 Well trained hounds track bears from active bait sites that are monitored by Cuddeback cameras. Bears are pursued to their hiding places so you can get a shot at your trophy. Quality will be served from the equipment used, the guides/dogs, scouting, to the premium food and lodging. Your comfortably appointed historic log cabin with its own lake facing verandah provides a private spot to contemplate the day's activities or unwind with a beverage and cigar. The Roosevelt Dining Room and its great room will serve as the headquarters during your stay. You will enjoy an early morning send-off breakfast, home cooked lunches, dinner and end of the day refreshments in comfort. Professional guides, top notch services, clean comfortable American-Plan accommodations, and plenty of non-hunting activities will keep everybody happy.